Voici une recette que je voulais faire depuis bien longtemps. Un vrai pilier de la tradition culinaire Française! Première tentative réussie! Je vais même me venter un petit peu et vous dire que c’est la meilleure soupe à l’oignon que j’ai jamais mangé:0) Essayez et vous m’en direz des nouvelles. Pour la petite anecdote, on appelait la soupe à l’oignon, la soupe des ivrognes, car elle cache très bien les odeurs d’alcool:0) La recette qui suit semble tellement simple, qu’on aurait envie de rajouter de la bière, du vin ou encore du bouillon de boeuf ou de volaille. N’EN FAITES RIEN! J’ai moi même été tenté et j’ai bien fait de résister! – Coupez 9 petits oignons jaunes en fines lamelles (les petits oignons ont plus de goût et moins d’eau) et faites les revenir au beurre. C’est l’étape la plus importante et elle m’à pris environ 30mn sur feu moyen. Le but est de faire dorer les oignons jusqu’à obtenir une couleur brune caramel uniforme. VOUS DEVREZ RESTER À COTÉ TOUT LE TEMPS. Le goût de votre soupe dépendra de cette étape (les photos montent bien la couleur à obtenir). – Ajoutez 1,5 litres d’eau et laissez mijoter environ un quart d’heure. Salez, poivrez et voilà! Goûtez et allongez à l’eau ou resalez si besoin. – Placez sous le grill quelques minutes. Sortez, saupoudrez de persil haché pour la couleur et servez très chaud. Here is a recipe that I wanted to try for a long long time. A true pillar of the French culinary tradition! My first attempt was a resounding success! 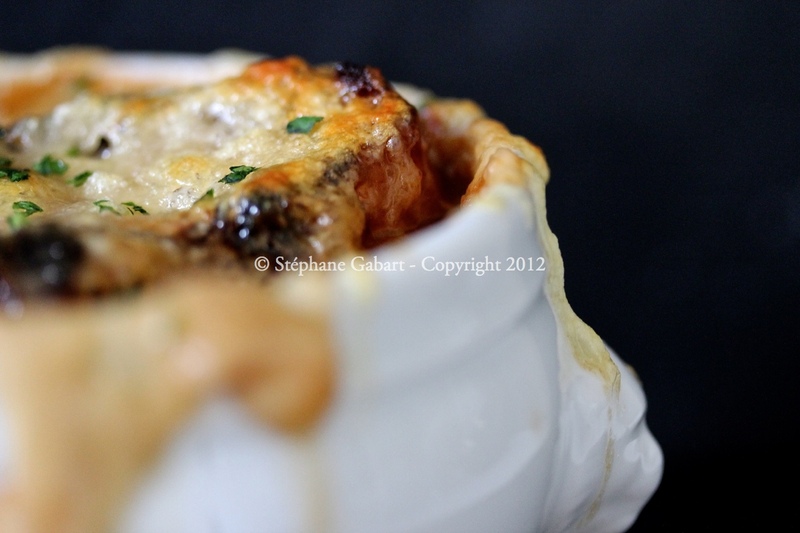 I’ll even brag a little and tell you that this was the best onion soup I’ve ever had: 0) Try it and tell me how it was. For the anecdote, the onion soup was called the soup of the drunks, because it hides very well the smell of alcohol: 0) The following recipe seems so simple that you could be tempted to add beer , wine or beef/chicken broth. DO NOT DO IT! I myself was tempted and I did well to resist! 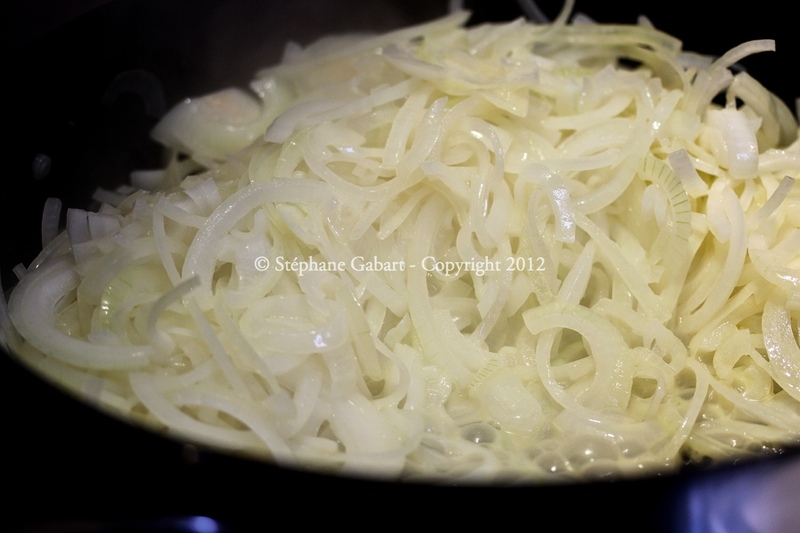 – Cut 9 small yellow onions into thin strips (small onions have more flavor and less water) and sauté them in butter. This is the most important step and it took me about 30 minutes over medium heat. 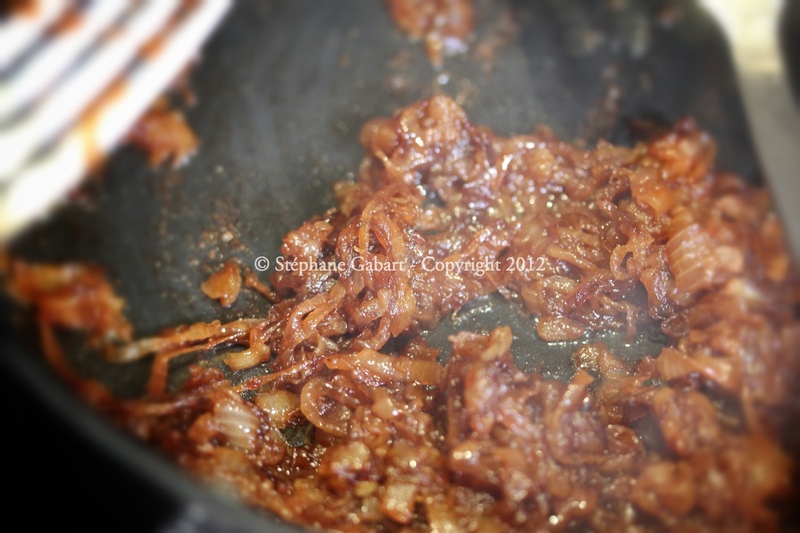 The goal is to sauté the onions until you get a uniform caramel color. If you burn them, you will have to start all over again as it will make your soup bitter. YOU WILL REMAIN BY YOUR STOVE AT ALL TIMES. The taste of your soup will depend on this step (The photos here will show you the exact color you need to get). – Add 1.5 liters of water and let simmer for about 15mn. Salt, pepper and voila! Taste and add water or salt as necessary. – Place under the grill for a few minutes. Take it out and sprinkle chopped parsley for color. Serve very hot. I WANT TO EAT THIS SOO BAD! The pictures are astounding. 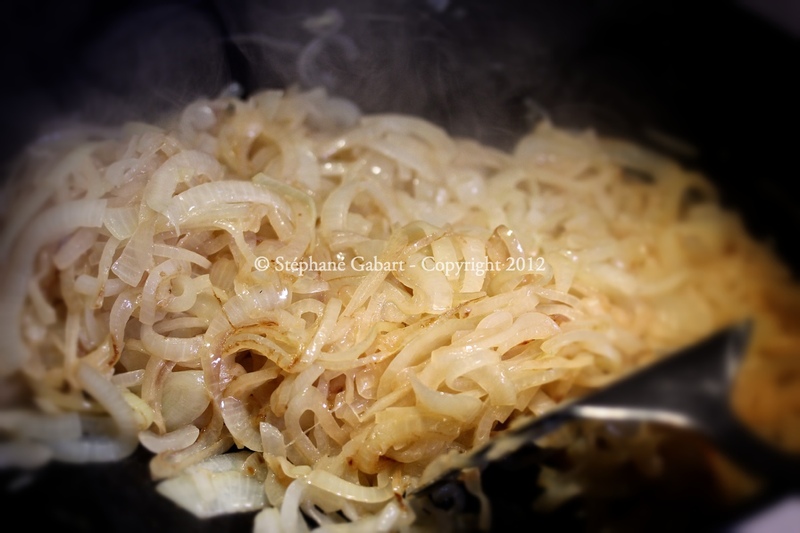 How much butter is needed to caramelize the onions? Sorry to repeat what everyone else has said.. but this looks INCREDIBLE. The photos are great. 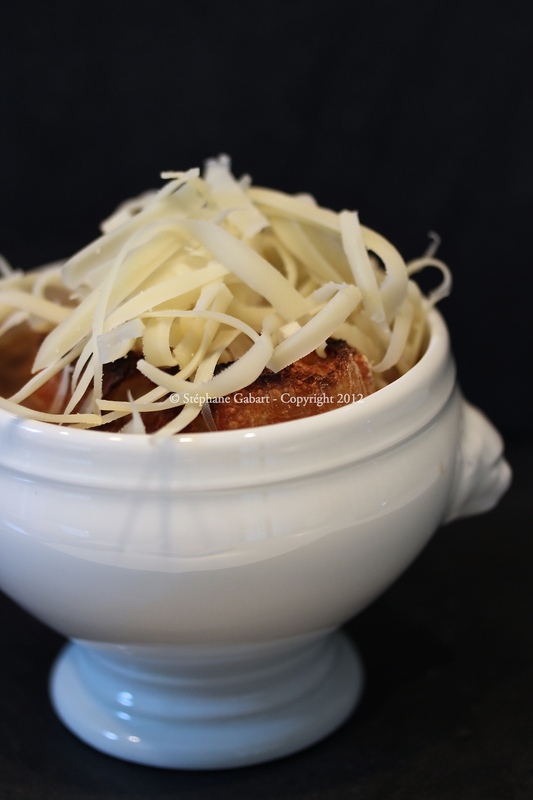 I love French onion soup and so will definitely try this one day! I tried the soup and there was no leftovers! I linked to your recipe in my blog. I just realized I’ve never made French onion soup! I must! And I will definitely use this recipe! Merci! tell me how it goes!!! May I have some please? DIVINE! Absolutely! When you come visit, I’ll make you some:0) In the meantime, you should try the recipe. It is divine! OH, comme c’est beau!!!! French onion soup is my favourite soup! I always order it when I am out. It is such a treat! 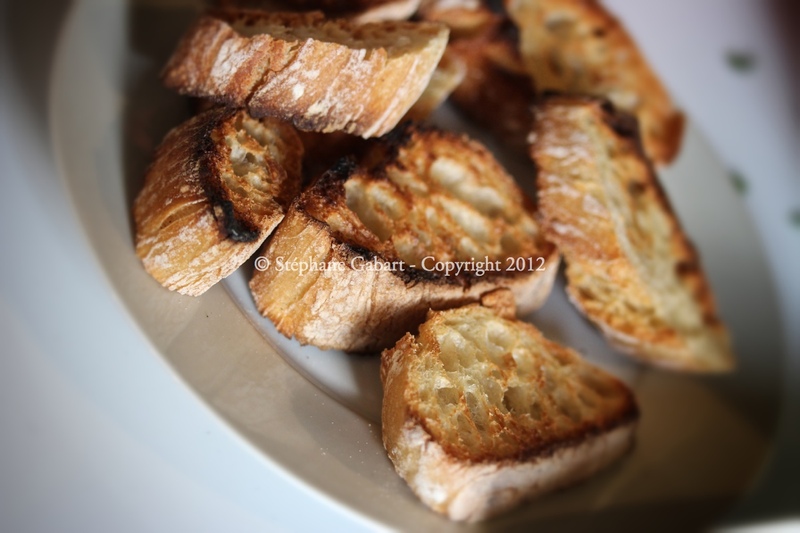 Your photos are so amazing…my mouth is watering as I read your recipe. Thanks for the tip about not using stock…that is how I used to do it. Thanks for the kind comments Anita. Try it without stock and let me know how it turns out. I love this recipe. 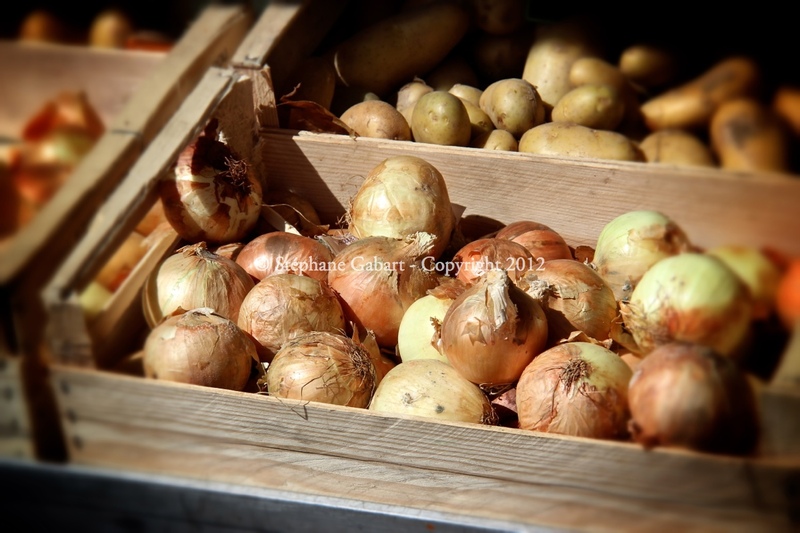 Does it really just call for onions & water? You don’t use any broth? I guess the onions make an onion broth…. I typically don’t eat French onion soup because it is typically made with beef stock. I love French Onion Soup. This looks delicious! This is def a must try..I’m adding this to my “must try” list..I will post a pick whenever I get to it! 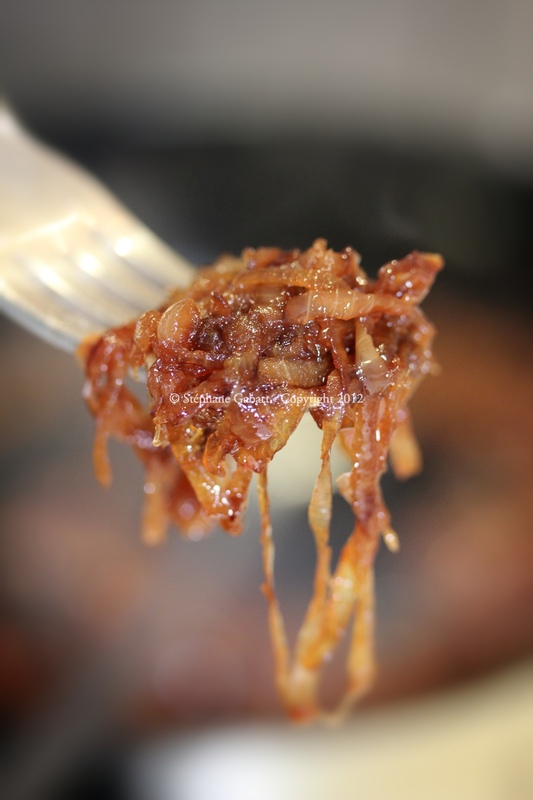 I have a French Onion Soup recipe that I love but I am very excited to try yours now that I have read through it and your photograhs have completely convinced me that this is a “must try” recipe. You are a very gifted photographer – and Chef I am sure! GORGEOUS food photography! 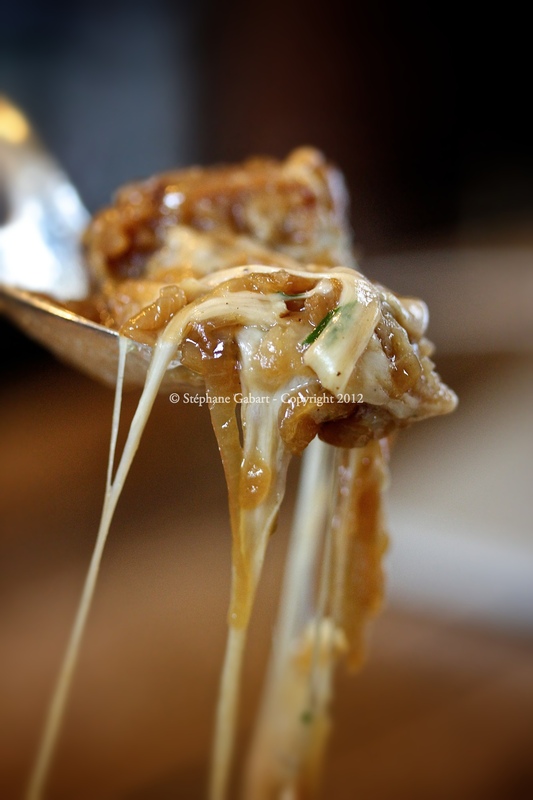 now I want to eat French Onion Soup! Fascinating. 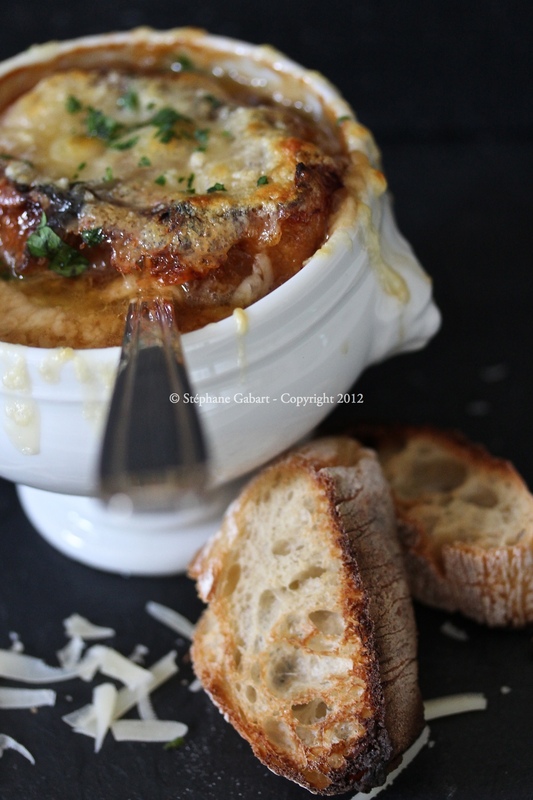 Years ago (like 30-40 years ago) I used to make ‘French onion soup’ regularly and I and guests loved it – but it was nothing as simple as this. As we now eat ‘without meat’ a couple of times a week this will be on the menu pretty soon as I’ve made enough of your recipes to know if you say it’s good, it is. By the way, my previous recipe is on p62 of ‘Mastering the Art of French Cooking, Vol1 (Simone Beck, Louisette Bertholle, Julia Child) and for guests I often added the filip on p64 – ‘des Trois Gourmandes’. That looks absolutely gorgeous! You are a true Frenchman! You should be so proud! Thanks a lot! It is never too late! Maybe you can move to Paris and live your dream! Life is short. Do what you love; be who you are! All the very best. I will continue to read your blog!! You should! It’s fantastic! I am now following you and I am looking forward to reading your posts!! La soupe à l’oignon, ça me rappelle tout de suite ma grand-mère qui en fait une succulente. Je viens de découvrir ton blog, il est très beau, tes recettes sont appétissantes et tes photos alléchantes. Merci beaucoup! Je suis le tiens aussi! Bonne soupe! I have made onion soup with beef broth and it seemed so salty. I will definitely have to give this a try! Hi Cathy. You should try the recipe, you’ll love it! You’ll only add salt to taste at the very end. Thanks for reblogging the post!! Ever since I saw your mouth watering photos yesterday, I was thinking about this soup. I made it for dinner tonight. It was worth the constant stirring of the onions because it is superb. I was surprised to find the cheese you recommended. But, I was able to in our local gourmet grocery store. Hands down, the best French Onion Soup ever. Thank you Stéphane. My house still smells like onions 😉 But it gives the home a lived-in feeling, right? Yes, amazing soup. Since I cook, it was easy for me to guess on the amount of butter to add to the onions. That is the only thing I think you might’ve left out? Or else I didn’t read it close enough. Your photos are lovely. What kind of camera/lens do you use? Zut ! J’ai mangé à 19h … en regardant ces superbes photos … j’ai faim !!!! Thanks Barbara! Tell me how it goes!! Une très bonne soupe j’aime beaucoup avec des croûtons de pain . Je te souhaite une bonne soirée Jacques . Merci! Bonne chance avec le nouveau blog! Pourquoi as-tu changé? beauty. will be trying this out very soon. Yes you should! Thanks for coming! 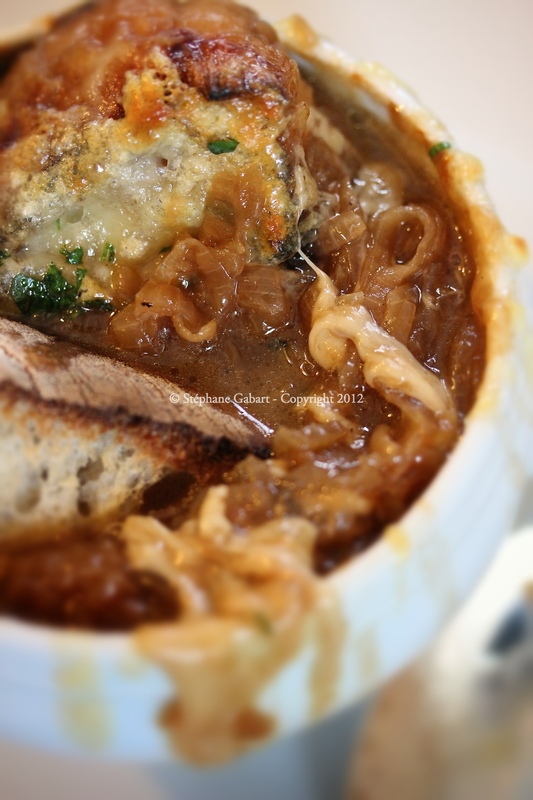 French Onion soup practically makes my heart flutter, it’s my absolute favorite! Everything about this post is amazing. Thank you for sharing this. Thank you so much! You should try it. It’s easy and as you say quite amazing!! Thanks again for reading my blog! Awesome recipe! I usually use stock instead of water, and Gruyere cheese. Will try it your way with water and with Comte. Your photos are amazing! Wish I could get your DOF…not going green with envy (repeat 99 times). It’s a small Olympus that only goes to f3.5, usually f4 within super and macro. I don’t think I’d spend that sort of money on a DSLR. Instead, I’d go for a compact with interchangeable lenses. But, only if they have a suitable 105mm macro lens. That might be a good option! I love the images, so well captured and can I say, I am so grateful for your English translation. oH mY God it looks so sweeeeeet! Looks delicious I will try your recipe. Thanks Christine. Let me know how it goes!